Wonderful family home in the heart of Forest resting on a 2 ac. partially wooded double lot on a cul-de-sac. 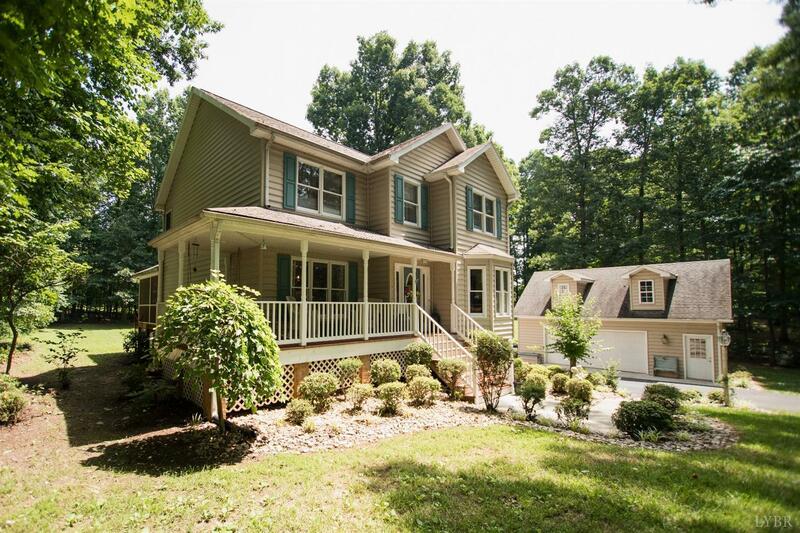 12 minutes to Liberty U or 5 Min to Monkey Joes, this home has it all for the growing family. Boasting 5 BR's and 3.5 Baths, plenty of space for everybody. Hardwood floors lay out the main level with huge open great room with fireplace, breakfast area, and yet enough space for formal living and dining as well. Well appointed kitchen has tons of cabinetry, nice appliances and breakfast bar. Just off the kitchen, the new sliding door offers a new screened-in outdoor space anybody will love. Finished w/recessed lighting and vaulted ceiling this brand new addition overlooks the entire back yard. On level 2 are 4 nice sized bedrooms and a master suite and bath w/large jacuzzi tub, shower and walk in closet. The Terrace Level has new Rec room w/full bath. huge family room, a mud room & laundry. 30x24 2 car garage w/2nd floor storage. Grounds include bike trails, campfire spot.